This is a huge week! Thank you to our amazing patients for your understanding while we are out of the office this week while I get my learn on. I am spending the week with great brains at Spear Education in Scottsdale. First on the agenda was a fabulous course about restorative design. 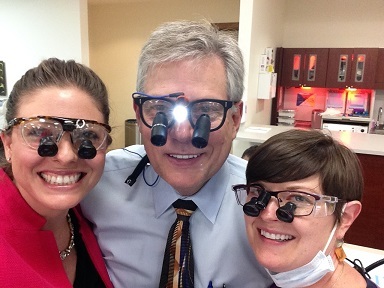 Here I am with my favorite dental nerd, Dr. Mayer, and a dental celeb, Dr. Gary DeWood. We learned some great tricks to improve our dentistry, both functionally and esthetically. Next up is the Spear Faculty Club Summit, stay tuned!